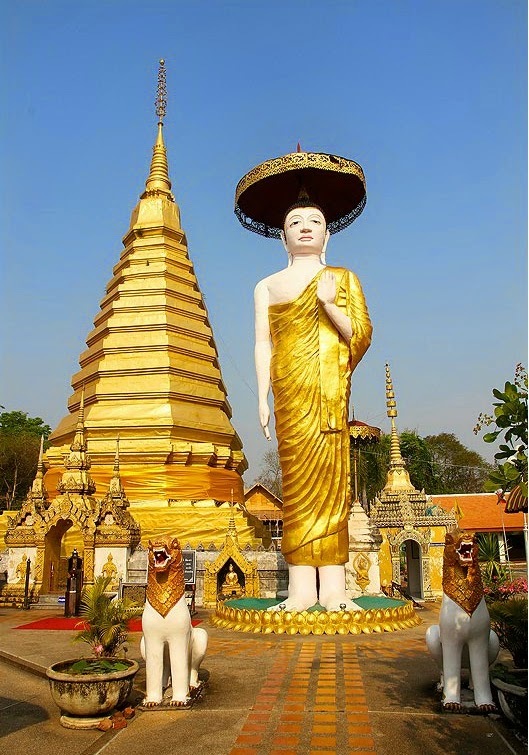 Today 15th is the last day for the Thailand's fair Phra That Cho Hae placed in the Phrae Province. The traditional event aims to wrap bright brass cloth around the pagoda of the sacred Buddhist temple Wat Phra That Cho Hae as symbol of holy respect as the pagoda protects holy relics of Buddha. Since 9th March the Asian city has been celebrating such reverential tradition and from Welldone Publishers: Art Prints & Greeting Cards worldwide we would like to show our deep admiration.